1) What products and services are available? 2) What currencies does the website support? 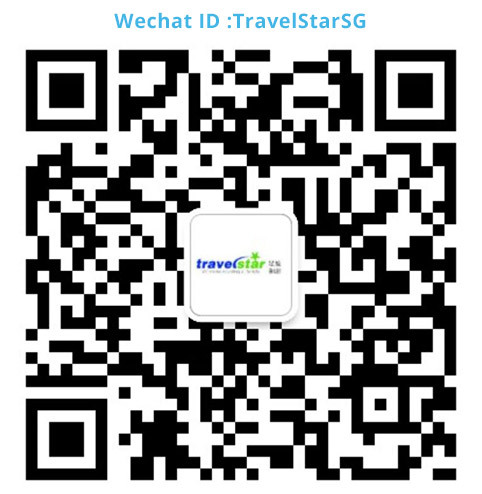 All the currency on Travel Star website are based on Singapore Dollars (SGD). 3) What forms of payment are accepted and how are exceptions handled? Payment is applied online with a credit card – we accept MasterCard and Visa. We will, however, provide support offline for the following payment exceptions. Please call Agency Support at +65 64385633 or email requests to: [email protected] to make an Offline Payment. 4)	Will you help me with a “Special Request”? Yes. Travel Star strives to provide support when you need something not available online. Simply email the details of your request to: [email protected] or call Agency Support at +65 64385633. 5) How do you modify a reservation? Simply email the details of your request to: [email protected] or call Agency Support at +65 64385633. 6) What is the cancellation policy for all bookings? Request to please click here for Travel Star general policy. However, cancellation policies do vary by destination and product, please refer to specific cancellation policies in the product at the time of making the bookings. 7) How does Travel Star charge appear on the client’s credit Card statement? 8)	Do you have a customer-friendly Invoice/Receipt? Yes, you will be able to print/email a customer-friendly invoice/receipt from the Booking Administrative Panel. If payment is still pending, the invoice/receipt will denote “Payment Pending” in the background. Once the booking is paid in full, you will be able to print/email the final Customer Receipt and Voucher from the website. 9) How do you send out travel documentation? When all payment and required passenger details have been received you can immediately get standalone items like e-tickets and hotel. If package tours, then they will be send atleast 07 days before departures via email. 10) Do we need Travel Insurance? Purchase of travel insurance is strongly recommended with respect to unforeseen circumstances such as trip/tour cancellation, curtailment, personal baggage loss, personal accident, injury, illness, medical/hospitalization, flight delay, theft and other insurance coverage deemed necessary by the customer. Under no circumstances shall the Company be construed as a carrier under contract for safe carriage of Customer or his/her baggage/belongings. The Company’s representative will be pleased to assist in the enquiries of any travel insurance and related matters. 11) When is the best time to travel to where we want to go? Whether you are working towards that hard-earned break or booking the family’s annual holiday the weather can be an important factor. Be sure to take this into account when planning the timing of your trip. Whilst the weather is unpredictable at the best of times, and we cannot guarantee that the weather will turn out as expected, our travel consultants can give you a rough guide as to when would be more suitable. 12) Do you work with Groups? Yes. We do handle group, please email in the details of your request to: [email protected] or call Agency Support at +65 64385633. 13) Do you have any advice for someone who always gets sick on vacation? We suggest not to take a flight first thing in the morning where you would have to get up early and not get a good night's sleep. Give yourself plenty of time getting to the airport so you are not stressed out making sure you are on time. Don't plan a lot the first day you get there so you can rest up and let your body catch up with the time change. 14) What is your company's customer service philosophy? We treat our client, as we would like to be treated. We place ourselves in the place of the traveler. This allows us to see a situation through the eyes of a traveler. It helps us relate to a situation with more understanding. In regards to cost, we will treat your money as if it was our own. 15) How would your agency handle a booking error? If we created the error we will try our best to resolve by offering reasonable alternatives to correct the problem and if not accepted we would bear it at our expense. We will always try and get discrepancies resolved keeping in mind customer satisfaction. 16) What do you do when a client is stranded? Accommodate the traveler to the best of our abilities depending on the situation. Again, this is where our philosophy takes over...if it was me what would I do or what would I like to be done. 17) What are your office hours? We are available from 9.30am to 8.30pm from Monday to Friday, 10am to 8pm on Saturday & 12pm to 6pm on Sunday & Public Holiday but we are happy to meet at a time to suit outside those hours. We are on call 24 hours a day 7 days a week for urgent travel and for support when travelling overseas. Please click here for more details. 18) Who do I contact if I still have questions? If you have any question that has not been answered here just email us at [email protected] or call Agency Support at +65 64385633. We welcome the opportunity to service you.